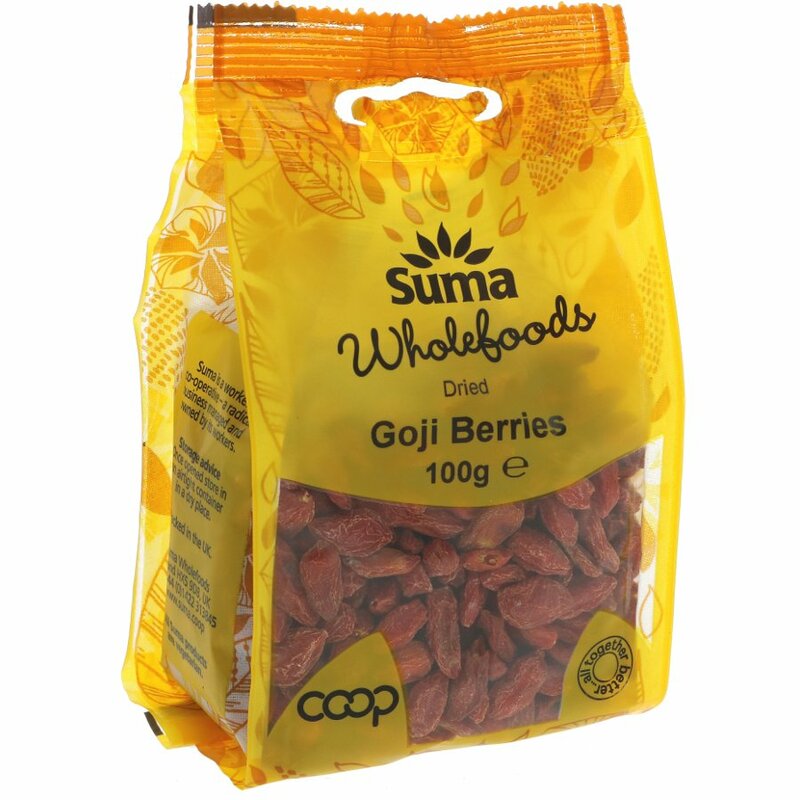 The Suma Prepacks Goji Berries - 100g product ethics are indicated below. To learn more about these product ethics and to see related products, follow the links below. Very good. It is better when you soak it the night before either in water or in soja yogurt, juice...I have it for breakfast with a banana, a kiwi and seeds. It gives you loads of energy for the day and I do it the night before. 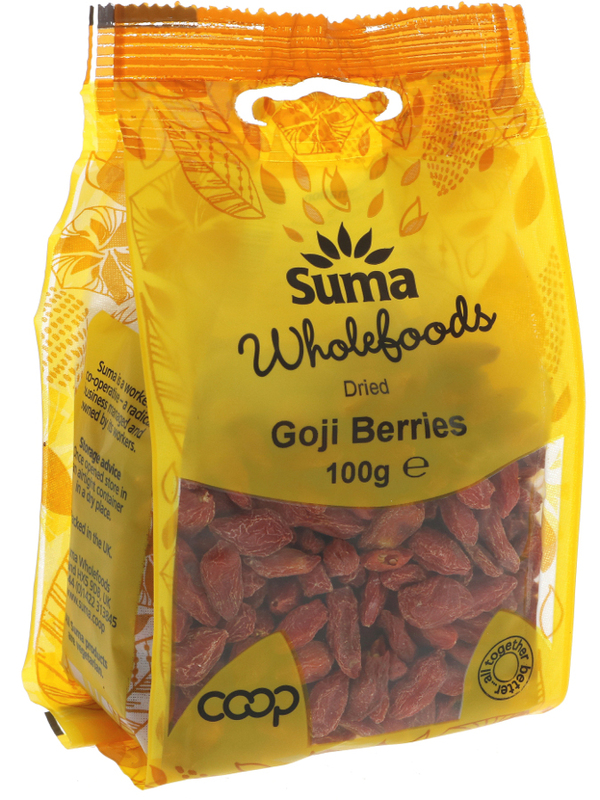 There are currently no questions to display about Suma Prepacks Goji Berries - 100g.